As one half of defunct British distortion steppers Cloaks, Submechanical continues their legacy of rancid noise. His Mantis Radio session is suitably horrible and crunchy. We’ve tracks from Blanck Mass, RUI HO, Slam, Happa, Bjork, She Spread Sorrow, Calum Gunn, Somatic Responses, clipping., and Herd remixing Savier. 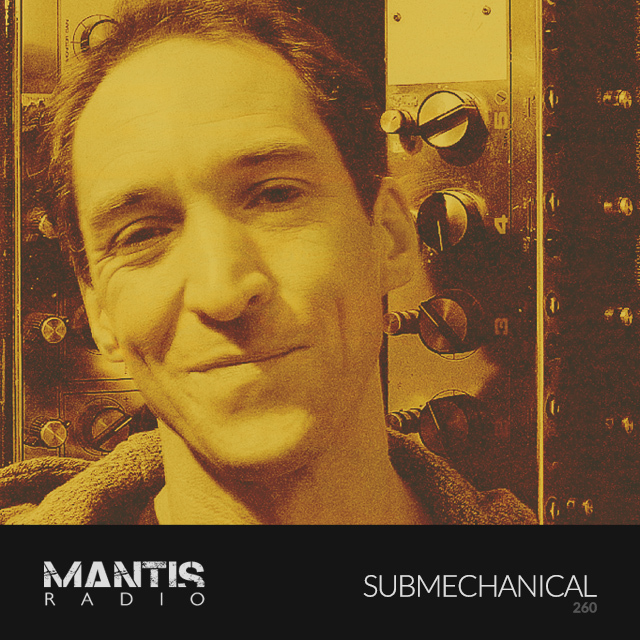 Our guest this week is Submechanical. In 2007 an EP surfaced on Werk Discs (the Ninja Tune affiliated label headed up by Actress) from a duo called Cloaks. In 2009 the British pair would unleash Versus Grain on 3by3 – a label that whilst living for just 3 years would also release unflinching noisy stuff from JK Flesh and Dead Fader. Cloaks would release 2 albums, 2 EPs and a remix collection featuring amongst others Ancient Methods. Their sound was an industrial slaughterhouse of grim breaks, noise and dubstep. Kind of like Vex’d were, but different, more distorted, more twisted. But with a raw, metal intensity. Then in 2011 – the music stopped and Cloaks were no more. Fast forward 6 years to 2017 and Submechanical, the solo project of one half of Cloaks, would surface on thirdtypetapes. Though he first appeared, as far as we’re aware in March 2015 at London event Towards Collapse. Earlier this year Jezgro released 2 EPs of material. Armoury – four cuts of original work, and Remixes, featuring Profilgate, Death Qualia, Shadows and Huren. In January Russian label room:hall released Robot Killing Machine. Submechanical’s session was constructed using only analogue and valve technology hardware for maximum sonic disruption. You have been warned. This Friday March 29, our label Darkfloor Sound lets loose Savier’s The Fountain of Perpetual Decrepitude, featuring a remix by Submechanical of the album’s title track.